Everybody loves slot machines, but most of the time don’t bother to read the rules. But how can you wish for winnings, if you don’t know what you’re wishing for? Slot machine rules are most of the time fairly simple, so it will not take too long to discover them. Everybody knows that to play traditional slots, you need to insert coins. By the way, these slots are really famous in the Nordic Countries. The same goes with online slots. Before starting your game experience one must make a deposit on their online casino account. There are demo games available that let you enjoy the slots for free, but that will not give you those desired winning, will it? After “inserting coins” you can select your gaming options that vary between the games you choose. You can select the size of your bet for one pay line, the number of the active pay lines and therefore the total bet. If you wish, you can sometimes also set you game on automatic play, which allows you to win pleasing amounts of money doing basically nothing. To do so, you just need to set the basic gaming options and then the amount of automatically played rounds. After the player can just click ‘spin’ once and watch the reels roll round after other granting winnings. Before playing it is always good to get to know the games winning combinations. You can always see them from the slot by just clicking ‘view payout’. Most of the winning combinations are formed from left to right and you need at least three, sometimes only two of the same symbol. The picture of the symbol doesn’t really matter, that is there for just an entertainment, the idea of the games is still usually the same. Some slots have wild and scatter symbols on their reels. You can see what they are in each game’s payouts list. Wilds are the symbols that go for any other symbol (except scatter) if it is part of a winning combination. Wild symbols can also trigger bonus features that vary between games or even free spins. Scatter symbols give sometimes the highest payouts of the game and can trigger exciting bonus rounds. These bonus games are like mini games that give something different to the usual gaming. You get to test your skills or choose from options and that way win more money on your total winnings. Depending on the game you get to for example shoot at something, throw something at something or choose from options revealing winnings. Bonus games can sometimes be really innovative and cheer up even more the already exciting games. Once you have understood the rules of the slot machine you wish to play, you are truly able to wish for the winnings. Waiting for winning combinations to stop on paylines will be even more thrilling when you are waiting for certain symbols and know what you can win. 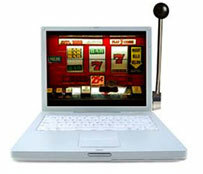 US players can learn more from https://www.freeonlineslotsusa.com/ a casino site aimed at the American market for casinos.